TECHZONE BRINGS YOU ALL THE LATEST UPDATES IN THE TECHNOLOGY WORLD INCLUDES NEW GADGET LAUNCHES, SOFTWARE RELEASES, NEWS, AUTOMOBILE LAUNCHES, REVIEWS, PRICE DETAILS, NOTEBOOK FEATURES, NEW HARDWARE RELEASES, CAMERA, MOBILE PHONES etc.. 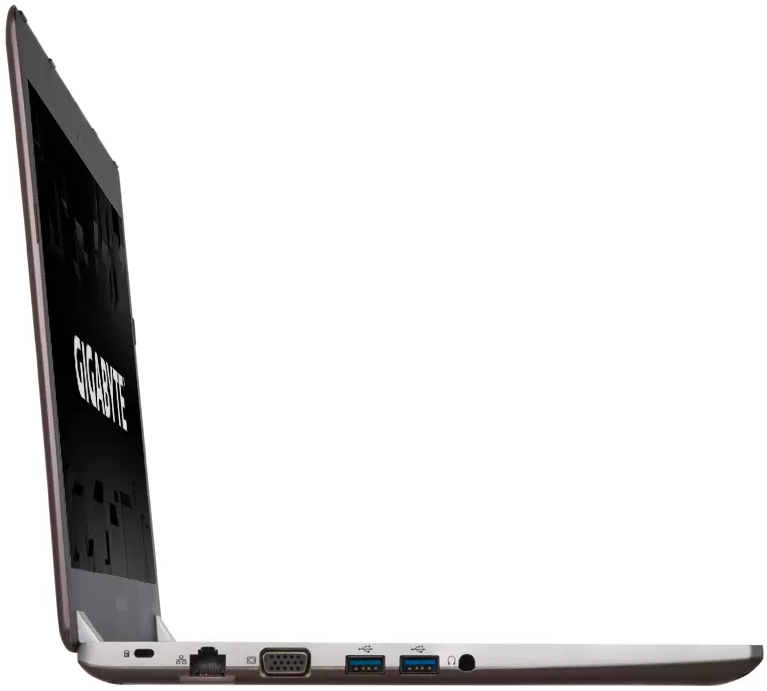 The GIGABYTE P34G Ultrablade features 14-inch Full HD/HD+ LCD display of 1920x1080 resolutions, 1600x900 resolutions respectively. 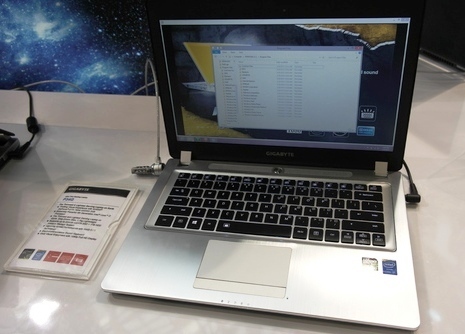 It is powered by 4th generation Quad-Core i7 Haswell processor from Intel. 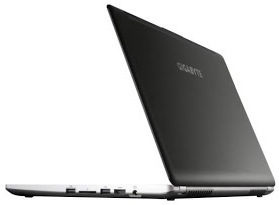 OS options includes Windows 8, Windows 8 Pro, Windows 7 Home Premium and Windows 7 Professional. The P34G Ultrablade Gaming Laptop comes with NVIDIA GeForce GTX 760M GPU with 2GB memory and also Intel® HD Graphics 4600 GPU, It comes with overall 4GB/8GB DDR3 RAM upto 16GB. Storage options includes up to 128GB/256GB mSATA SSD + upto 1TB HDD. Connectivity and Expansion options includes 802.11b/g/n Wi-Fi, Bluetooth V4.0, two USB 3.0 ports, two USB 2.0 ports, D-sub, HDMI, RJ45, Headphone-out jack (Audio-in Combo), SD Card Reader, DC-in Jack. Other features includes Dolby Home Theater sound quality optimization technology and 1.3MP WebCam. It weighs weighs ~1.7 kgs and has 21mm thickness. Tags:GIGABYTE P34G Ultrablade Laptop, GIGABYTE P34G Ultrablade Laptop features, GIGABYTE P34G Ultrablade Laptop specifications, GIGABYTE P34G Ultrablade Laptop review, GIGABYTE P34G Ultrablade Laptop details, GIGABYTE P34G Ultrablade Laptop availability, GIGABYTE P34G Ultrablade Laptop specs, GIGABYTE P34G Ultrablade Laptop images, GIGABYTE P34G Ultrablade Laptop pics, GIGABYTE P34G Ultrablade Laptop pictures, GIGABYTE P34G Ultrablade Laptop imgs, GIGABYTE P34G Ultrablade Laptop price,GIGABYTE P34G Ultrablade Laptop Network options, GIGABYTE P34G Ultrablade Laptop Expansion options, GIGABYTE P34G Ultrablade Laptop multimedia features, GIGABYTE P34G Ultrablade Laptop Sensor options, GIGABYTE P34G Ultrablade Laptop Gaming options. When will they begin taking orders?